Sometimes, you will find that you are as close to winning as you can be, even though things have never looked worse! A short time ago, my dredging partner and I were sampling in a new section of river. We were looking for high-grade pay-streaks, dredging test holes, and hadn’t had any luck from five very well-done samples. We floated down to a new section of river, where the water was very fast. 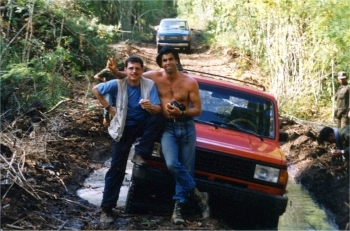 It was on the inside of the tail-end of a bend of the river–an excellent place to find a high-grade pay-streak. 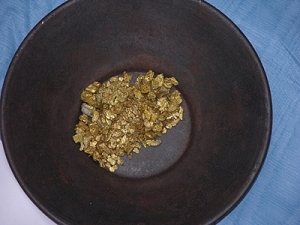 The problem was that we hadn’t found a single speck of gold in the previous five sample holes. This was uncommonly-bad! Usually, we at least find some showing of flood-gold in every test hole in river-dredging. For the most part, I had decided that this section of river must have been very low-grade. We had about a half-mile left downriver to the next river access–where we would be able to pull the dredge back out of the river. So, we decided it was worth a few more sample holes as we drifted down in that direction. This new section of river had slow water towards the bank. I had it figured that the pay-streak would be located out under the fast water — which is often the case. I don’t know why, but mother-nature often has a knack for hiding her natural treasures in areas which are more difficult to get into! We set up the dredge in the slower water alongside the bank, got everything running, and I started the sample hole right out on the edge of the fast water. Once the hole was down far enough to protect me from the current, I pushed the hole out under the fast water where I figured the pay-streak would most likely be. 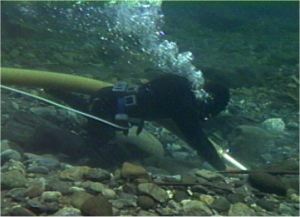 This was very difficult, because the force of water was pushing very hard against the suction hose and my airline. I just muscled the work through against the current, but it took a great deal of effort. I was in that zone where heavy effort, physical pain, and emotional stress are all the same? 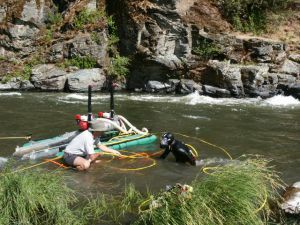 The suction hose was swept back into the current several times, which required me to go back, drag the hose over towards the bank, pull it back upstream, and get it back out into the sample hole. All this, to keep pushing the hole further out into the current, and deeper towards bedrock. When I reached bedrock, I uncovered it slowly to see if there was any visible gold in the cracks. All I saw was a few small flecks–nothing to get excited about. It was gold, however; and seeing it on the bedrock was encouraging. 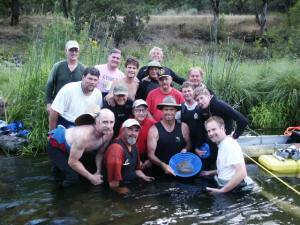 It was the first gold we had seen in that section of river. Seeing the flecks on the bedrock meant that I was beginning to dial into the right wavelength! Having it in mind that the best gold would be further out into the current, I pushed the hole in that direction. The further I pushed, the more difficult it was. The bedrock out there showed no gold. My arms felt like spaghetti! So I pulled back into the original place where I spotted the gold flecks on bedrock, took another small cut off the front of the hole, and worked it down to bedrock slowly so I could see if there was anymore gold. I did not see any. So I assumed this area must also be low-grade and decided to call it quits. As I was dragging the dredge’s suction hose in towards the bank, the thought crossed my mind that I ought to test the inside of the dredge hole–over towards the slow water. If the streambed material had been deeper, it is likely I would not have tested toward the inside. Why? Because I had it in my mind that the pay-streak was out under the fast water; not under the slow water. But, because the streambed was shallow, and I had seen some gold on the bedrock where I first touched down, I decided to take a quick cut off the inside of the sample hole. Sure enough, I spotted several small flakes of gold on the bedrock. So I took a larger cut off the inside, pushing towards the bank. About halfway down to bedrock, I started seeing flakes of gold in the gravel–kind of like Christmas. 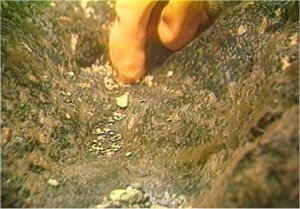 On the bedrock, I uncovered a pothole full of gold; it was about eight ounces in all–about half of it was jewelry gold. And that began one of the richest pay-streaks we ever found! There is a lesson in this! Everything we do, everywhere we go, is the result of the decisions we make. Sometimes we get going on a path which is just not the right direction! This is not just in gold mining. Sometimes the signals are there, telling us we are going the wrong way — often by the amount of pain and discomfort and effort it is taking to keep moving in the wrong direction. Have you ever found yourself in a major difficulty — only later, sometimes much later, to realize that it was one of the best things that ever happened to you? The lesson is to never give up hope! Never say die! Sometimes, you will find that you are as close to winning as you can be, even though things have never looked worse. This is especially true in gold mining. This is not to say that you should keep pushing hard in a direction that is not working. It is to say that if one direction does not seem to work, take it a little further, and then look around for another way to go. Don’t get fixed in one mind-set. Ask yourself what you are trying to accomplish, and keep your awareness open and your imagination working to find the available opportunities to accomplish your goal. 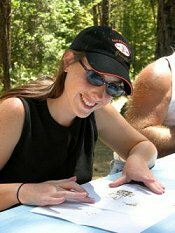 We manage group gold mining operations in northern California just about every other weekend during the spring, summer and fall months. During these operations, it is my personal responsibility to make sure that silt, sand and gravel are not washed back into the river off the bank from our tailings-water. This requires continuous effort to keep tailings water directed along the natural contours on the land outside of the river. Sometimes I spend a lot of time running up and down the bank trying to stop the water or slow it down. One thing for sure, if you stop the water in one place, pretty soon it is running down the bank somewhere else! Gravity is a force of energy that never stops. In many ways, this is not dissimilar to a person’s intention to accomplish a goal. Sometimes, we will find our immediate progress slowed down or stopped altogether. But if we maintain our intention, and study the barriers to our progress, we can usually find other ways to make progress. The key is in maintaining the intention, keep pushing along, and having a little patience. The best things in life usually take a little time to accomplish. And the best memories often come from the accomplishment of difficult goals.